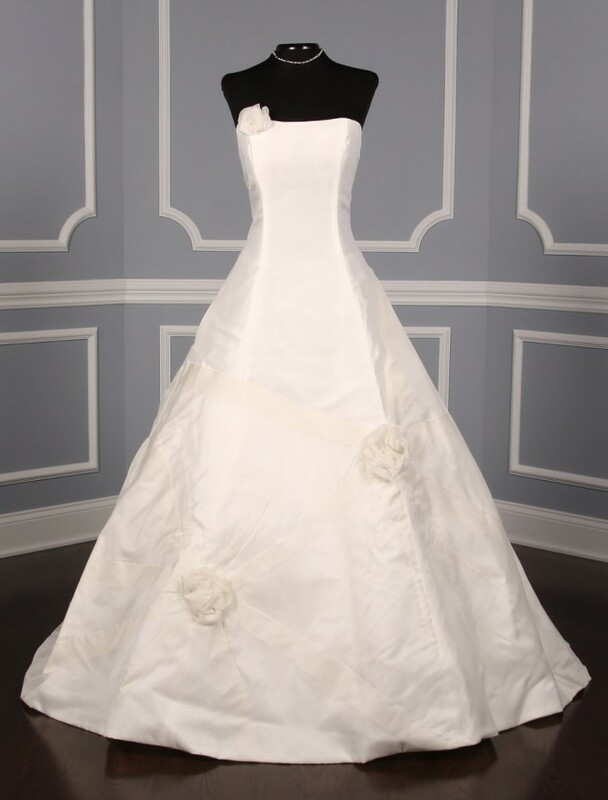 This St. Pucchi Blair Z154 wedding dress is Brand New and has its hang tag attached! The design of this gown is simple, yet extremely elegant. Covered buttons along side the back zipper give this gown a clean finished look. There are five flowers on the skirt and one flower on the top bodice. The flower on the top bodice has a silver back crystal in the center of the flower. The gown has side seam pockets, perfect for holding a few tissues or your lipstick. This gown is perfect for any type of wedding venue! Please know that we would be more than happy to supply additional photos of the gown. Please feel free to message us anytime. :-) This gown has Never been worn to a wedding/event. Please visit the ‘About Our Dresses’ section on our website, yourdreamdress.com, for more details. As with any dress/gown, alterations are usually needed for the best fit. Please make sure to measure yourself (with undergarments only) and compare to the above measurements. Keep in mind that Evening/Bridal dresses usually run differently (usually smaller) than daywear. Please know that all of our designer gowns and accessories are 100% Authentic and in New, ready to wear condition. We purchase our designer gowns and accessories, in new, ready to wear condition, directly from world renowned designers and their bridal salons only. We have been in business for close to 14 years and have an outstanding reputation for our selection and customer service. We have also been awarded four years in a row with the WeddingWire Couples’ Choice Award for 2017, 2016, 2015 and 2014! Please see our Wedding Wire reviews to read want our current and past brides are saying about us. http://www.weddingwire.com/reviews/your-dream-dress/b318aec00ffbca0c.html We ship worldwide and offer a wonderful NO RISK Return Policy, for your peace of mind. 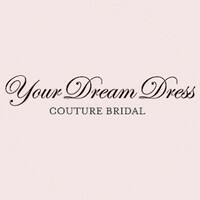 https://www.yourdreamdress.com/no-risk-return-policy/ Your Dream Dress believes in personalized customer service, so if you have any questions, please do not hesitate to contact us. Also, if you would like additional gown photos, please let us know. We will be happy to help! Our telephone # is (717) 506-0343. We are in the office Monday to Friday from 10:00 a.m. to 5:00 p.m. EST. We look forward to helping you with your dream dress!